Trinity is a primary school based in Radstock, Somerset. It has an inclusive policy, upholding a Christian ethos and welcoming children of all faiths and denominations and those with none, equally. 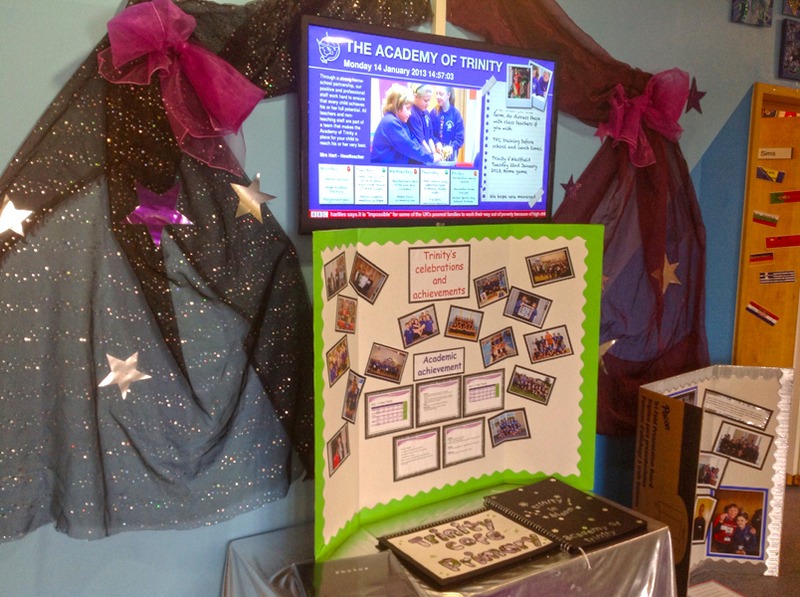 The Academy of Trinity is an award winning school, achieving ‘Outstanding’ Ofsted status in 2009 and it’s headteacher, Mrs Hart, won The Pride of Britain Awards Headteacher of the Year Award in 2008. 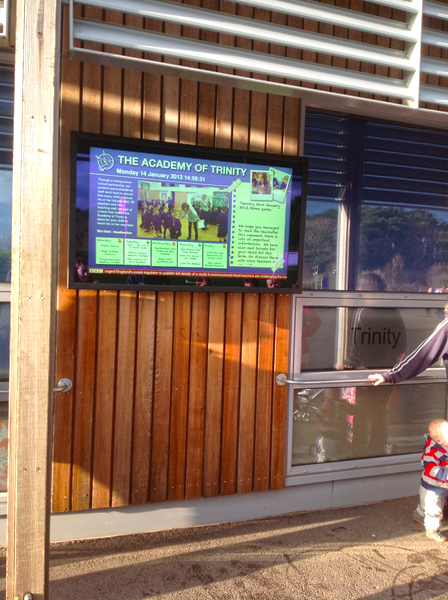 The Academy of Trinity wanted a strong way of communicating to both students and their parents, the weekly events, achievements and photos of the school. Trinity wanted to communicate these messages in key areas of the school including the main reception area and an outdoor area where parents would pick up their children from. Trinity specified that they did not want to have to update each screen individually and needed a system that would be quick, easy and cost-efficient to update. Eclipse Digital implemented a digital signage network that included one publisher box and two subscribers. 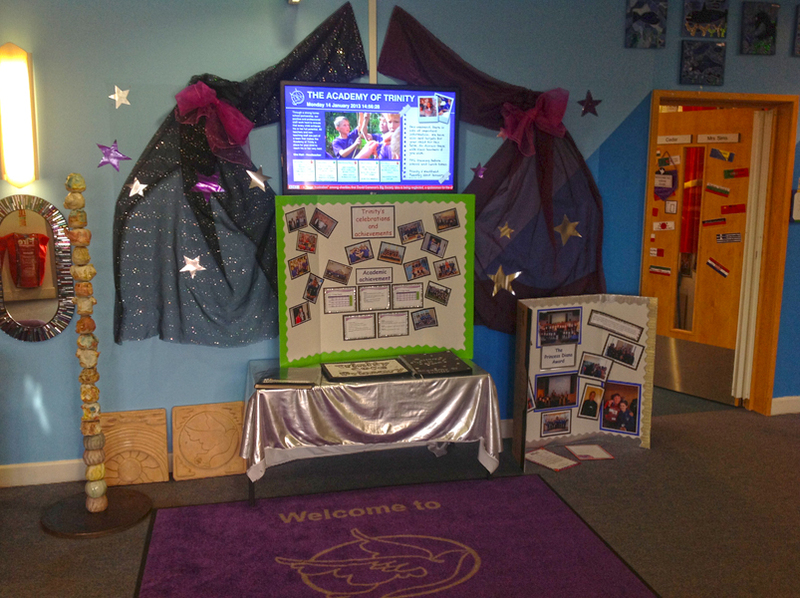 One subscriber supplies content to a 42″ interior screen mounted in the main reception area of the school. 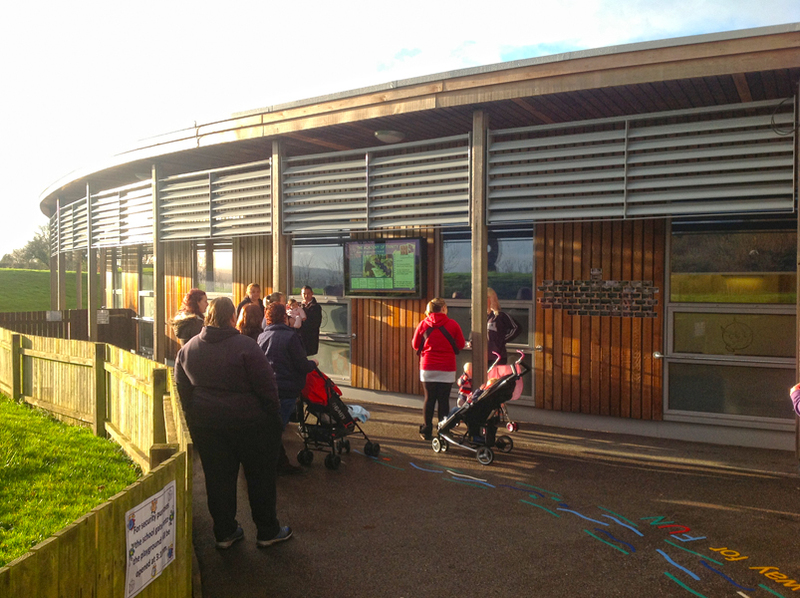 The second subscriber unit supplies content to be displayed on a weather proof, exterior 55″ Aqualite screen in the parents waiting area outside the school. 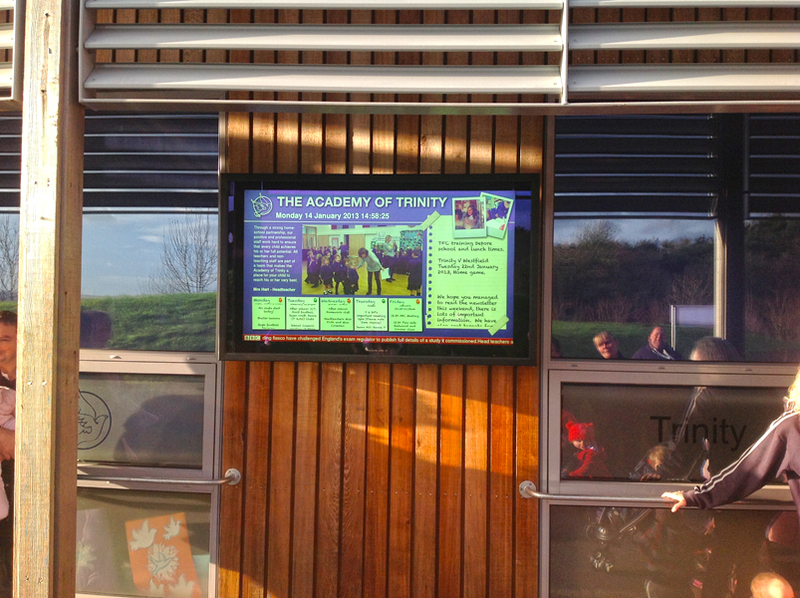 All content on the digital signage layout is customisable by the school and updated each week with the up coming events, photos from previous school events and important messages from the school.